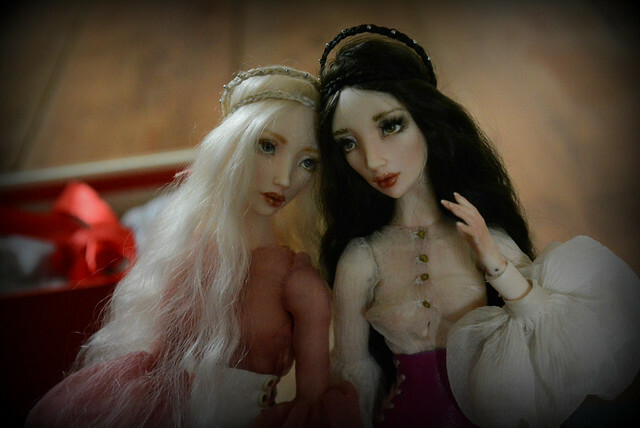 Beatrice and Bianca are two custom porcelain dolls made by the very talented Olga Good. Nothing can describe how exquisitely detailed they are! So here we go.... the very first photographs!! 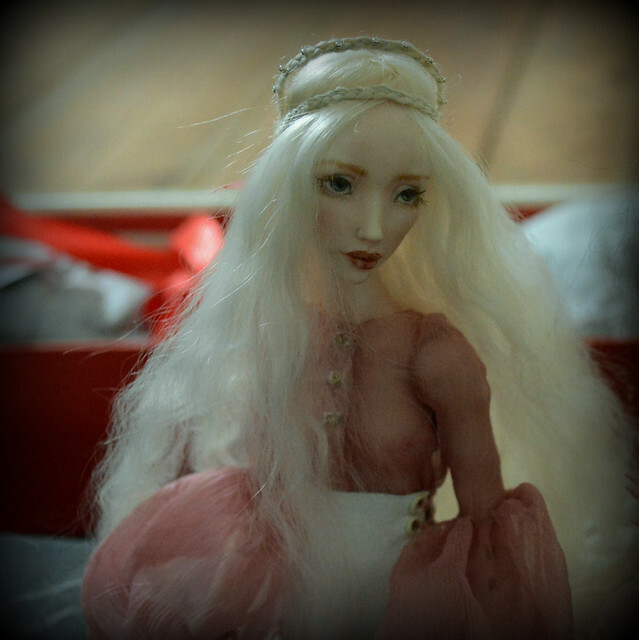 They are 34cm tall, and so graceful and delicate! Welcome to the forum, please let me know if you have any questions! Oh they are so lovely! Congratulations! WOW, they are so beautiful. congrats! Their faces are so expressive. Congratulations on your new dolls! They have very pretty faces and expressive eyes! Do they pose nicely? :-) Their boxes are made of cardboard, right? Beautiful too. Thank you allurose, carmenke and fawkes! I am so very pleased with them! They pose beautifully although I haven't had time for a proper play! Fawkes yes, the boxes are made of cloth covered board (like old books!!) and printed with gold foil. Very sturdy and stronger than normal cardboard! so Happy for you. What a beautiful pair. Like Snow white and Rose red. Congrats- take lots of pics for us please. Melissa, congratulations on your new beauties. They look wonderful together. Can't wait to see what you will make for them. 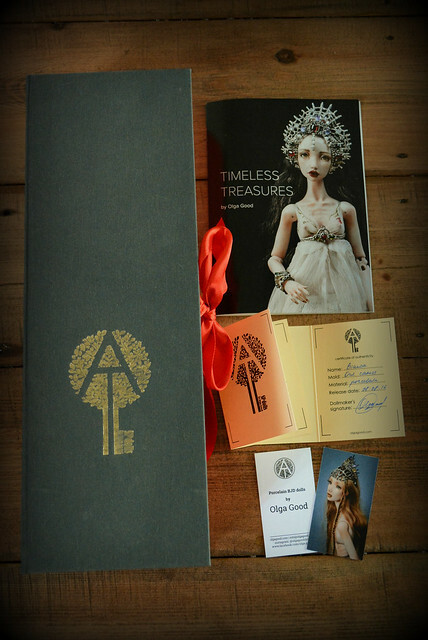 Orchidee, Fitz, ivdolls, libbymorgan, Thank you! I can't wait to have a proper play with posing etc! I'm also looking forward to designing some clothes for them when I have time! 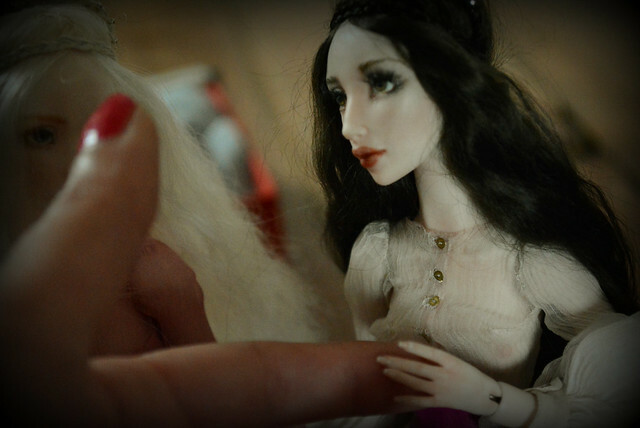 I can't believe how delicate they are- as they are the same height as my resin Enchanted doll, I thought they would be roughly the same size, but they make her look like a giant!! 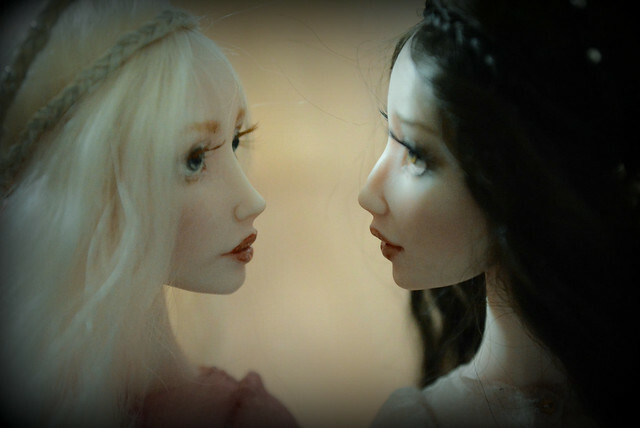 I really, really wish more doll makers gave their porcelain girls eyelashes. I think they're just wonderful together. You must be so happy! Oh they look so delicate, fairy like faces .. Beautiful and congratulations! Kamia, Dina, Thank you! 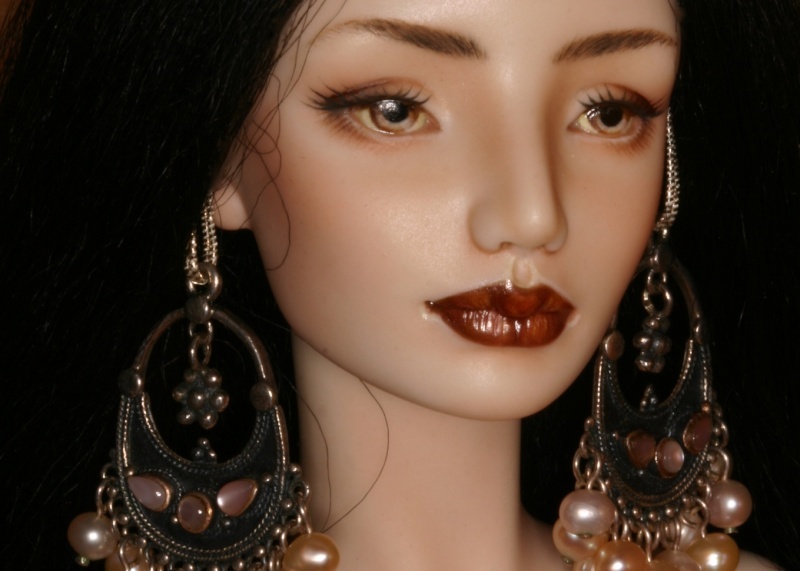 Yes, they are the first porcelain dolls I think I have seen with eyelashes! And yes Dina, they are very delicate! I think some early FH girls had them? But I haven't seen any since. When I was first into BJDs I used to comment all the time to my fiancé 'LOOK, EYELASHES' because I just loved the eyelashes... Now... a porcelain with eyelashes who is so dainty.... I wish I could come and meet them! Congratulations! Looks like you've received a dose of double gorgeousness. Lovely faces on your dainty girls!